I’ve enjoyed spotlighting several authors in a variety of “A Week with…” features over the past few months. Indeed, I’ve been very honored to be able to do so! 9th August is National Book Lover’s Day so this week I’ve chosen to turn the feature on its head a little in order to celebrate book lovers. 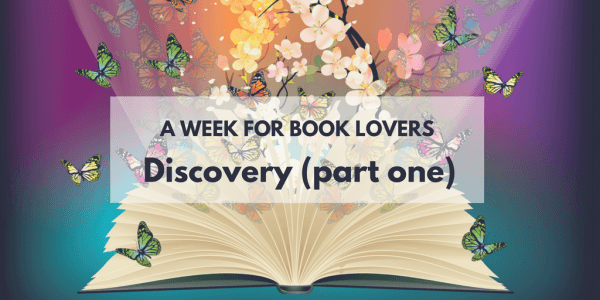 Whether you’re an avid reader or a casual one, loyal to paperbacks or embracing eBooks, blogging your book loves or sharing them with friends over coffee, I hope you’ll find something to inspire you this week. Thank you, book lovers. Your imaginations truly bring the words on paper to life. Stop by again on Tuesday and Thursday this week for new feature posts. 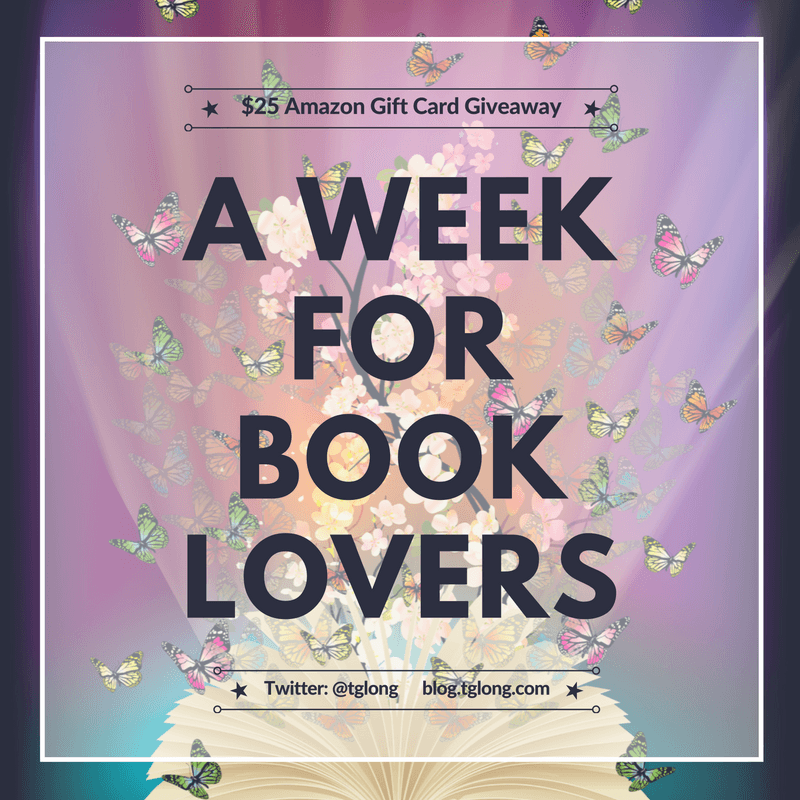 You can also enter the giveaway below and you could win a $25 Amazon gift card. 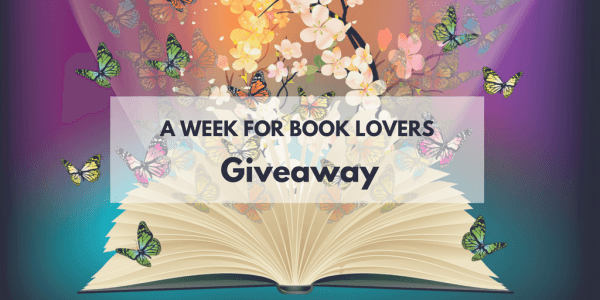 This giveaway will run for one month and you can share every day for extra entries. Today’s post features several discoveries made via Open Culture. I can’t recommend this site enough but you might want to make sure you have plenty of time if you visit because it’s hard to tear yourself away! If you have any discoveries to share, please leave me a comment. Neil Gaiman is a masterful storyteller. In this lecture, Gaiman talks about how certain stories survive. Every piece of work Gaiman does involves him telling a story of one kind or another, and so his profile in the culture has risen to great heights as, simply, a storyteller. That made him just the right man for the job when the Long Now Foundation, with its mission of thinking far back into the past and far forward into the future, needed someone to talk about how certain stories survive through both those time frames and beyond. Coloring books might be all the rage right now but this early coloring book dates back to around 1879. Continuing with the coloring theme, did you know about the #ColorOurCollections campaign? In early February 2016, museums and libraries worldwide took part in #ColorOurCollections–a campaign where they made available free coloring books, letting you color artwork from their collections and then share it on Twitter and other social media platforms, using the hashtag #ColorOurCollections. …a portal of “48,796,394 artworks, artefacts, books, videos and sounds from across Europe,” sourced from well over 100 institutions such as The European Library, Europhoto, the National Library of Finland, University College Dublin, Museo Galileo, and many, many more, including contributions from the public at large. Open Culture has featured many wonderful treasures from the New York Public Library and in March 2016, part way through Women’s History Month, they shared this list from NYPL Manager of Reader Services, Lynn Lobash. Lobash’s list, Know Your Feminisms, includes a number of titles from 1929 to 2015. You can find it here. Terri Giuliano Long has been writing since she was a child. A former teacher, she lives with her family on the East Coast.